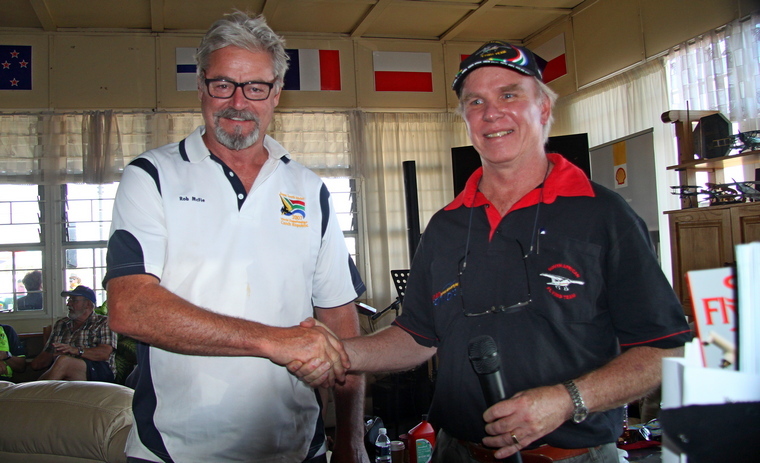 This year's EAA Sun n Fun flying event has been the 3rd Adventure Rally organised in this year, following the successful formula established back in 2015, and the 4th event held as part of Sun n Fun. 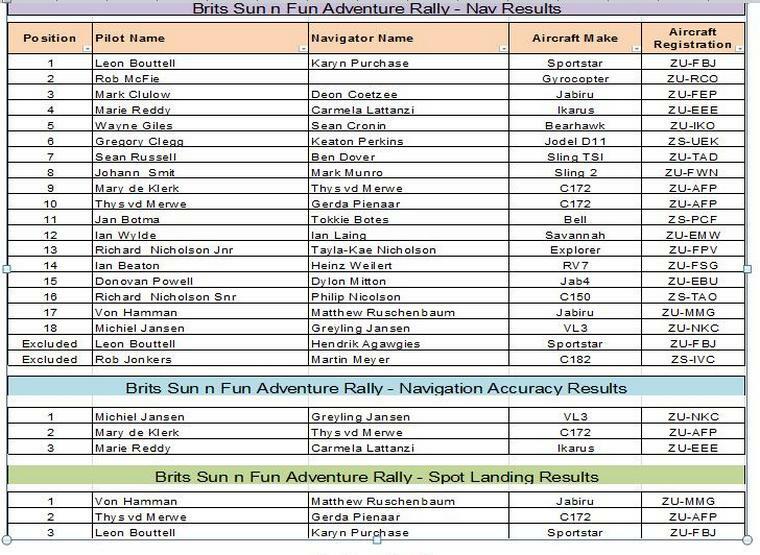 It seems to be gaining a following with 20 entrants this year, the teams enjoying the more relaxed and fun kind of event mostly involving observation out of the window recognition of ground features and learning about the area being flown over. 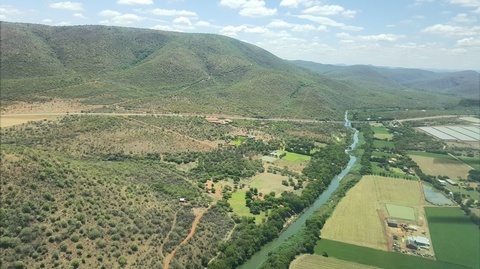 For this year, the theme was about the waterways around Brits, many may not know but there is a network of around 544 km of irrigation canals and tunnels in the Crocodile River valley. 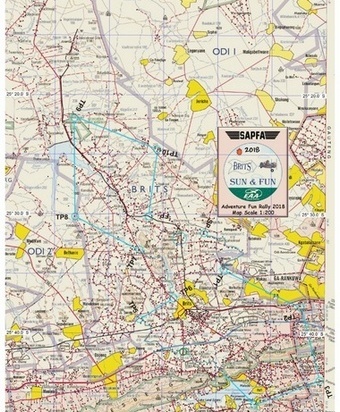 The format was in the form of a pre-defined route map that was available prior to the event starting for everybody to either plan their route with traditional map plotting tools or to program their GPS's - if they were more at home following the magenta line. 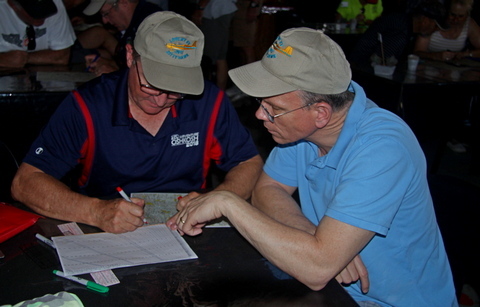 One of the Leg route instruction pages. 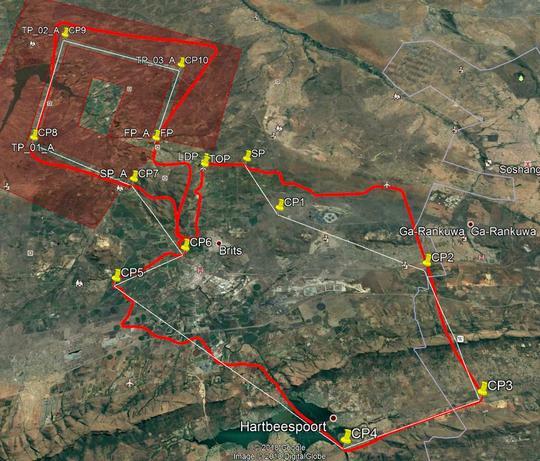 For this year though, even though no accurate timing was required, the Southern half of the route was mostly about the scenic aspects of the Maglies and the Hartebeespoort dam and following the canals, the Northern part of the route in the bushveld required the teams to fly with some accuracy in a 1 km wide corridor between Turnpoint 7 and the finish point, over terrain that required accurate navigation as the bushveld tends to hide many features. 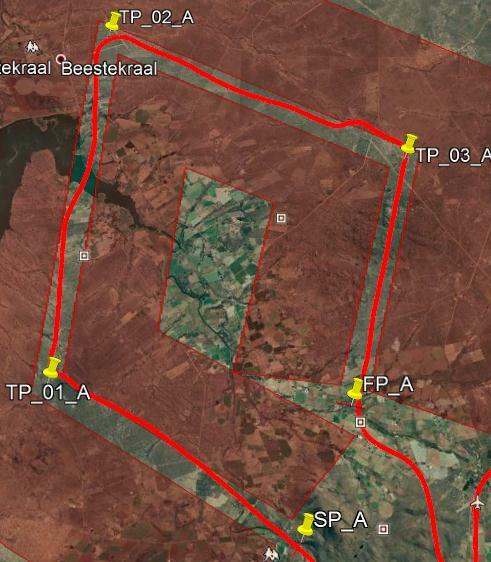 Each route's leg had turning point photographs to be recognised (either being correct or incorrect), mostly Google Earth photos, a few real world one's taken some time ago, but still featured the same view. The booklet contained a section of wiki notes that would enable the crews to answer all the questions - with a warning - �Don't read at your peril�.�, and guess what�., most forgot to find the answers in the most obvious place�. or were too busy trying to keep on track. 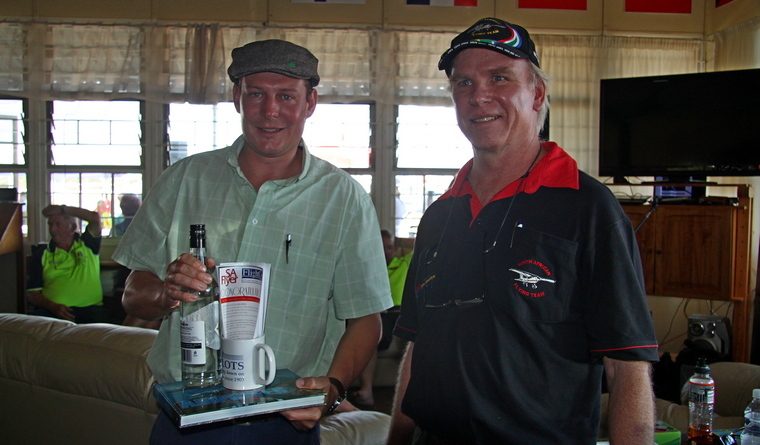 One of the weirs along the Crocodile River.After the briefing, and with 20 minutes prior take-off with handing out papers, the first competitors took to the skies at 10.30, with the last off at 12.00. The weather was brewing hot, and although not much wind, there was plenty turbulence over the route, but otherwise an excellent clear day for flying. So, what were those gems the competitors struggled with�.. What is a weir - as per the supplied wikinotes �Weirs are structures consisting of an obstruction such as a dam or bulkhead placed across the open channel with a specially shaped opening or notch.� Between TP6 and 7 there were 2 along the river, not many found these. 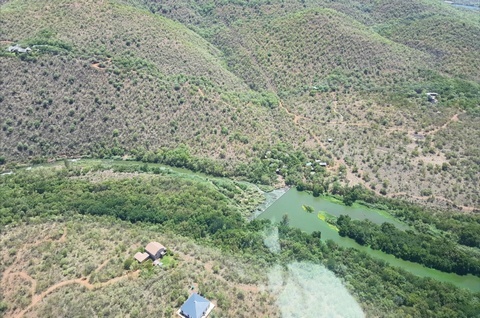 Gerda Pienaar and Bob Cohoe plotting.Then some competitors thought the Crocodile River after the Harties dam wall was the western canal (which splits off westwards at that point), so instead of following the canal, they followed the river, thus missing TP5. 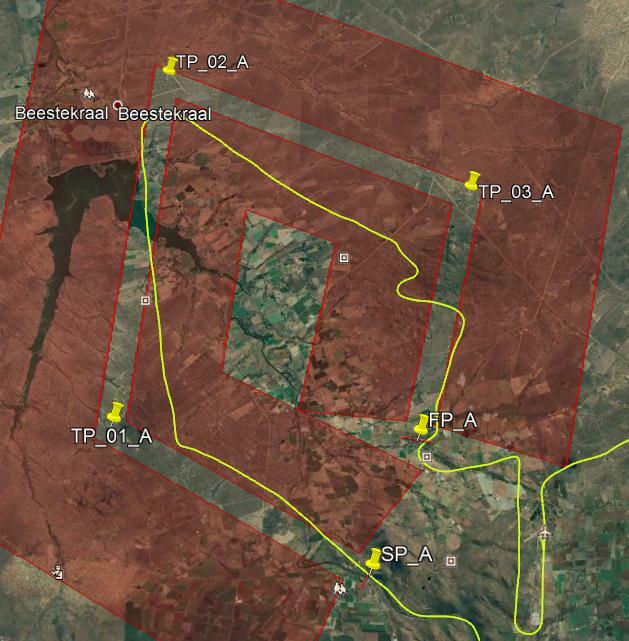 An another gem, was the runway at TP2, well, there are of course three well known runways in that general area, Odi, Bundu and Kroon but the correct runway was a private dirt strip along the R566, so some went a bit wayward there. Marie Reddy and Carmela Lattanzi plotting.Up in the northern part of the route, where careful and accurate navigation was required as the ground features are sparse in the bushveld, many missed the first Turnpoint in the corridor, TP8, it was a lodge that proved very elusive, the Google photo was an incorrect one, and appeared in any case as if the lodge had become a ruin in the mean time. The river and road crossing at Turnpoint 7. 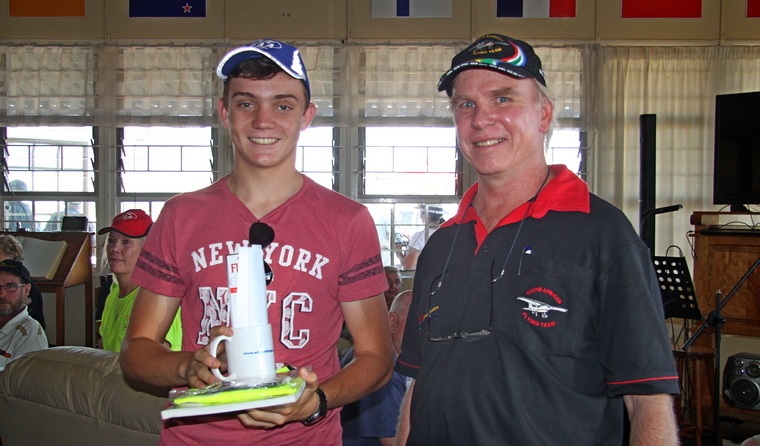 Mark Clulow was downloading and recording the tracking results from the loggers. 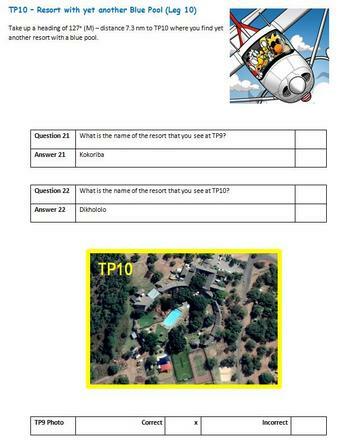 Between the clues and photo recognition, a total of 41 points could be scored. 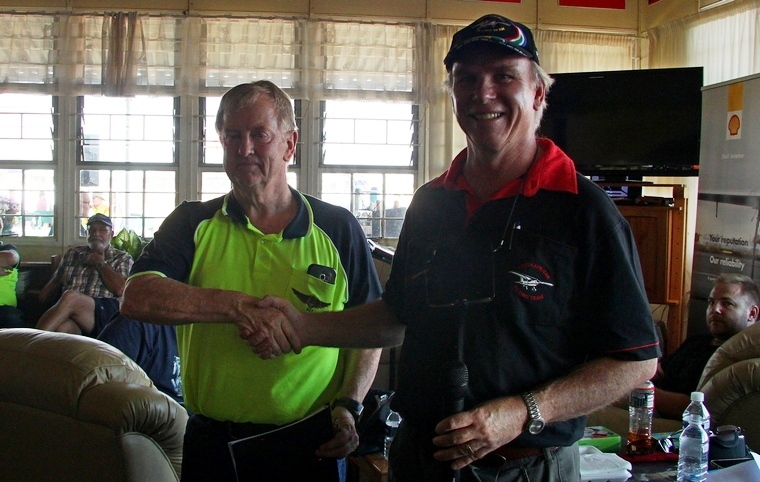 On returning, the competitors had to carry out a spot landing where landing line judges Hans Schwebel and Ron Stirk were on hand to adjudicate, where Von Hammon turned out to be the winner with only 10 penalty points landing in the first box after the bingo line. 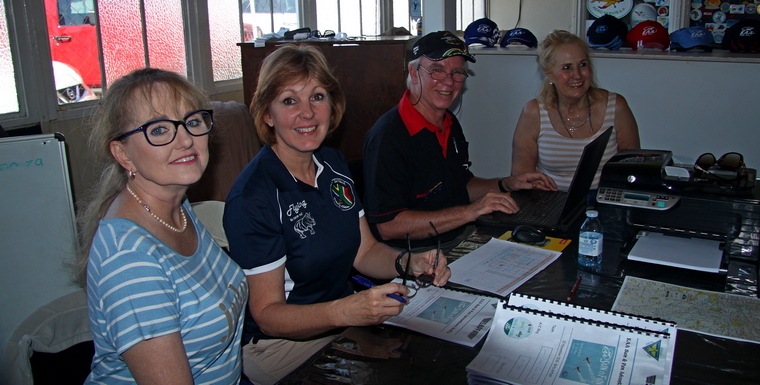 With everybody successfully home, it was time for marking the exam papers which was left to the strict invigilators Rene Clulow and Anthea Cronin to record the points. 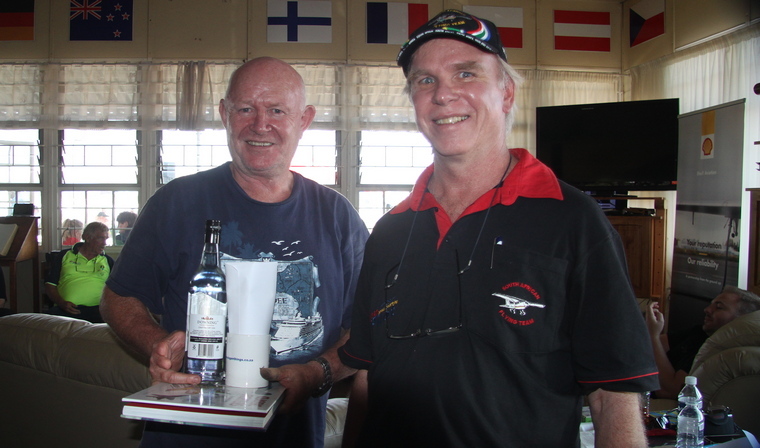 Ian Beaton & Heinz Weilert plotting.When all was tallied up, the crew of Leon Bouttell and Karyn Purchase in their Sportstar ZU-FBJ attained first place with 33 points, Rob McFie and his flying buddy Neil Armstrong attained 2nd place, with third place going to Mark Clulow and Deon Coetzee. 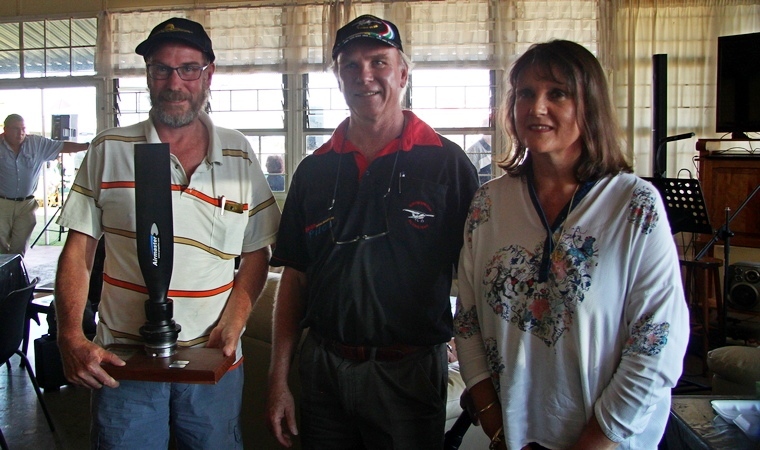 The Sling floating trophy was handed over to Leon Bouttell and Karyn Purchase, this being the 4th event where this floating trophy has been awarded. Thus came to the end of a hopefully enjoyable day for everybody who took part, and given the large amount of competitors, it should bode well for doing this again in the future. 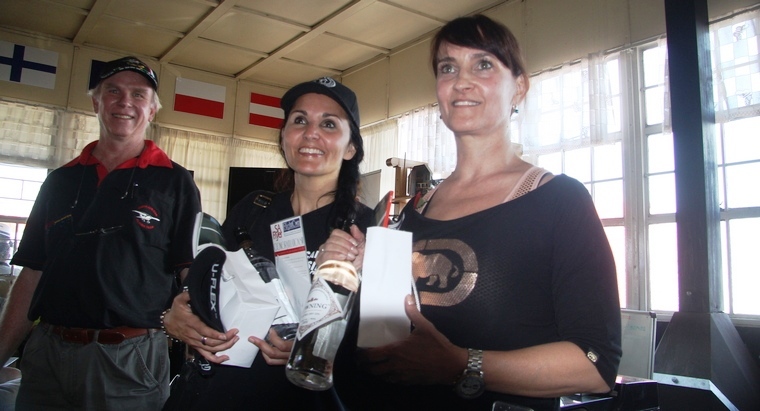 Many thanks are extended to Marie Reddy for the assisting with the administration of the event, arranging the prizes,; also the prize sponsors, Comet Aviation Supplies, Aviation Direct (the makers of Easy Plan), Shell, SA Flyer.